Men's High Bar with Hook & Loop. Available in sizes 0,1,2,3. 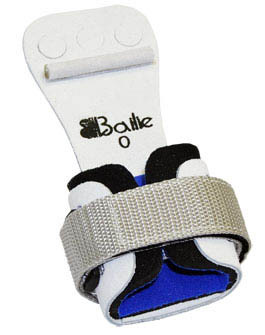 Baillie sizing is different from grip to grip. Please make sure you're ordering the correct size for your grip! 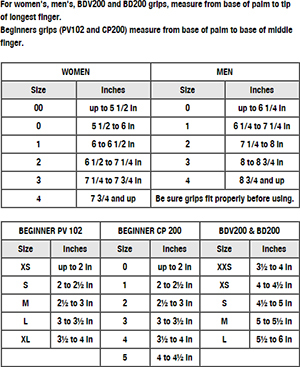 To order High Bar Grips, take a measurement, in inches, from the wrist to tip of the middle finger. ALL GRIPS ARE SOLD PER PAIR. Don't forget to purchase wristbands or wrist neoprene with your grip purchase. Please read about more information on the breaking-in and care of your new grips. 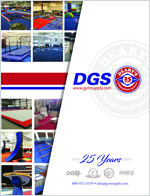 There is also new, up-to-date and exciting gymnastics news posted on the All Things Gymnastics Blog Caution: Only Men's style grips should be worn on men's apparatus. Do not use Ladies Uneven Bar grips on men's high bar or rings.